The theme of our annual Yankee Swap is "Comfort and Joy." What could be more comfortable and joyful than flannel pillowcases? 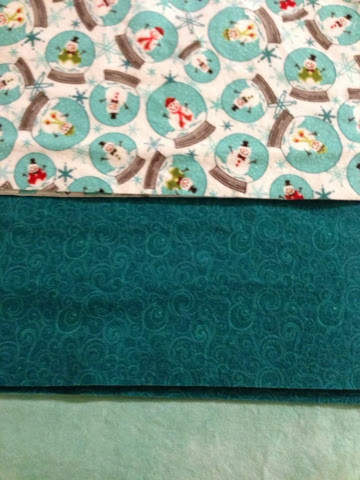 This year, I will be contributing a pair of flannel snow globe pillowcases in these beautiful aquas.